First stop: The Missouri Botanical Garden (MOBOT)! Carrie is embarking on a national herbarium tour to hit all of the major collections of Bomarea (Alstromeriaceae). 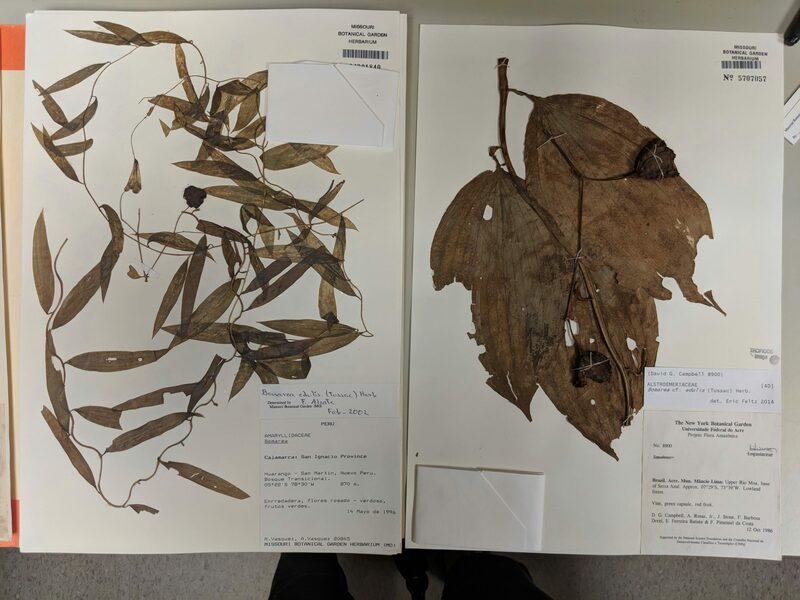 While visiting, she is taking note of the morphological variation as well as collecting leaf samples for DNA extractions for her population genetics study of Bomarea edulis. 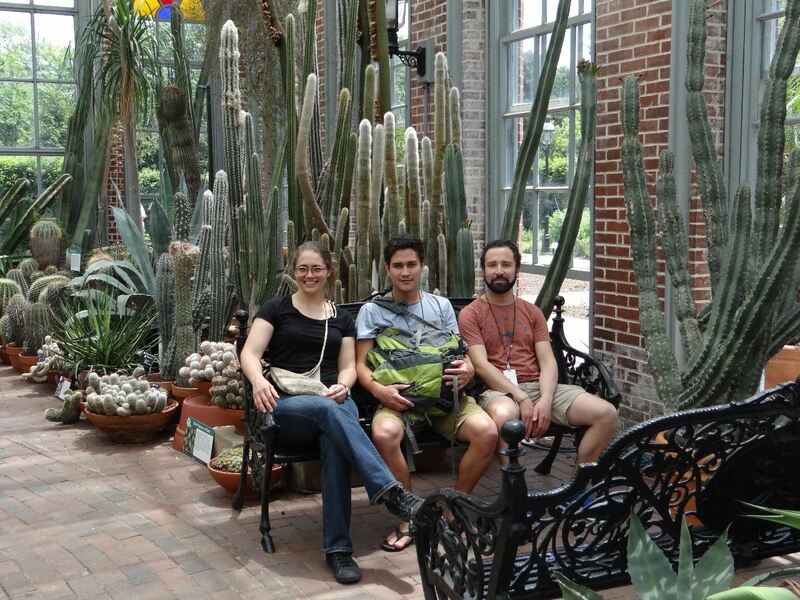 Pictured here with newfound botanical friends in the Arid House, a bust of Linneaus himself. Check out the morphological variability with Bomarea edulis!! Awesome! 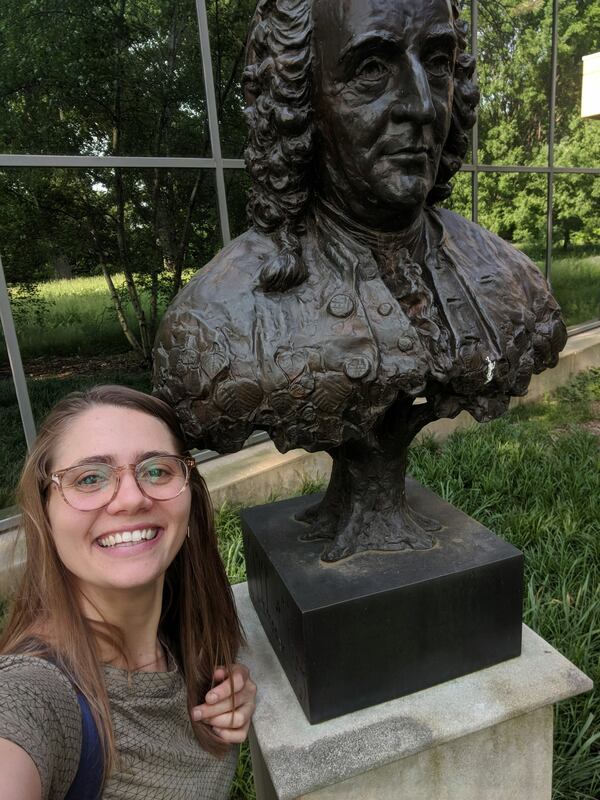 Now I want a selfie with Linnaeus!